Obituary for George Barwick Wilmot, PhD | Williams Funeral Home, P.A. George Barwick Wilmot, PhD. passed away peacefully on July 2, 2018, at the age of 89. Beloved husband of the late Patricia Ann (Craton) Wilmot. He is the son of the late L. Howard Wilmot and Margaret A. E. (Barwick) Wilmot. He is survived by his sons Andrew, David, Jonathan, Christopher, Stephen, James, and Gregory, and also by his siblings David, Robert, Richard, Cynthia, and Louis. He is also survived by 16 grandchildren and 6 great-grandchildren. George grew up in the town of Naugatuck, CT on his father’s rural dairy farm where he attended Naugatuck High School. He was a former graduate of Rensselaer Polytechnic Institute (BS) and Massachusetts Institute of Technology (Ph. D.). He was a lifetime member of the American Chemical Society. Dr. Wilmot was a dedicated research chemist and worked at Indian Head Naval Base in Indian Head, Maryland from 1954 until his retirement in 1997 after 43 years of service. His specialty was molecular spectroscopy and worked on several defense related chemical and products. In addition, he was very active in conservation efforts throughout Southern Maryland. 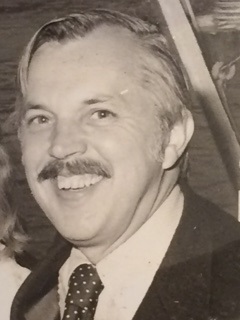 In 1977 he helped found the Citizens for a Better Charles County as the first county-wide civic group to work for protecting the County's natural resources. He was also a long-time member of the Southern Maryland Audubon Society and served as its president twice. George was known and designated as “Protector of Forest, Field, Marsh, and Stream” because of his work with the Conservancy for Charles County, Inc. In 2005 he was awarded the “Bernie Fowler Award” in recognition of his tireless efforts on behalf of water quality and the Chesapeake Bay. He instilled a love of nature, including wildlife, the stars, and the great outdoors, in his sons. He also took daily walks up until his health had declined. He was an avid photographer of family, friends and nature. He also had a passion for classical music, family genealogy and history. A viewing will be held at the funeral home on Tuesday, July 10, 2018 at 10 AM until time of service at 12 noon. Interment St. Charles Cemetery.